Cara Kozma is the Assistant Director of Service Learning and an Associate Professor of English. Her research interests include service learning, community literacy and publishing, and composition pedagogy. She works with faculty across the disciplines to integrate service learning effectively into their teaching and codirects a university-sponsored community writing center that facilitates interdisciplinary service learning classes and community publishing projects. 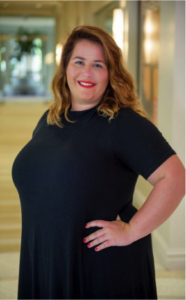 Mary Beth Foust is the Assistant Director of Civic Responsibility and Social Innovation and in this role, she serves as VISTA Supervisor, aids in the coordination of the Bonner Leader Program, assists with the development of the CRSI minor and teaches as adjunct faculty. 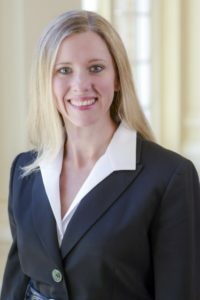 She holds a bachelor’s degree in religion from Samford University and a Master of Divinity from Baptist Theological Seminary at Richmond, as well as a certification in grant writing and management. 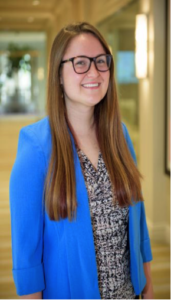 Jenna Rosenbloom is the AmeriCorps VISTA Leader of the High Point University AmeriCorps VISTA program. 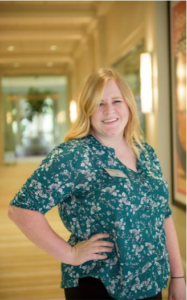 She works with the individual VISTA members and their community partners to provide support, encouragement and ensure progress is being made toward their goals. She will develop the professional skills of the VISTAs and ensure that the program is working to alleviate poverty and build the capacity of the local community. She holds a bachelor’s degree in nonprofit leadership and management and a minor in women & gender studies from High Point University. Lilly Wingate is an AmeriCorps VISTA at High Point University. Her work focuses on community gardens in High Point. She also works with the Food Recovery Network at High Point University. She works closely with the Hayden-Harman Foundation and the Greater High Point Food Alliance to coordinate community teams to maintain community gardens and provide educational opportunities for people to learn more about gardening. She will also help connect community teams with opportunities to sell their produce at local farmer’s markets. 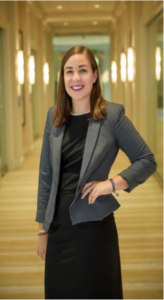 She holds a bachelor’s degree in both nonprofit leadership and management and in Spanish from High Point University. Caitlin Maressa is an AmeriCorps VISTA at High Point University. She works with the Hayden-Harman Foundation and the Greater High Point Food Alliance to develop farmer’s markets and other entrepreneurial food initiatives throughout the city. Part of this is supporting the expansion of the High Point Farmers Market hosted at the High Point Library and other mobile markets, as well as efforts to offer fresh produce to corner stores. 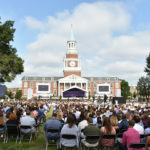 She holds a bachelor’s degree in communications and a concentration in journalism, as well as a minor in photography from High Point University. 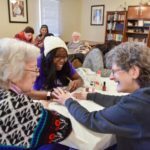 Madison Nelin is an AmeriCorps VISTA at High Point University. 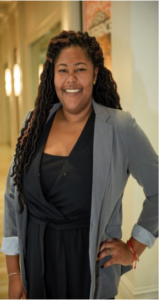 She works with High Point University and High Point Central High School to foster the relationship between the schools and form a partnership to create a mentoring program to promote access to higher education and help students to plan for college. 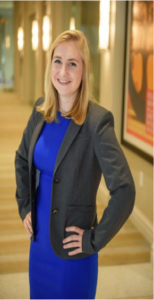 She holds a bachelor’s degree in communication with a concentration in electronic media, as well as a minor in business administration from High Point University. Amanda Goodwin is an AmeriCorps VISTA at High Point University. She works with the Greater High Point Food Alliance to promote food security through research. One of her tasks includes generating a community scorecard that allows community leaders to quantify and measure the level of food insecurity in their area and track improvements over time. 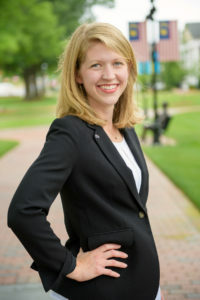 She holds a bachelors of science in biology and a bachelors of arts in Spanish, as well as a minor in women and gender studies from High Point University. Meredith Green is an AmeriCorps VISTA at High Point University. She works with two educational initiatives in the Washington Street area. The Community Writing Center is an afterschool program that provides an intentional learning environment for children’s literacy. PNAC (Physical Activity, Nutrition, Academics, Character Development), an afterschool recreational enrichment program for children. She holds a bachelor’s degree in English literature and a minor in human relations from High Point University. Ebony Gillette is an AmeriCorps VISTA at High Point University. Her focus is to generate new food resources in the city, she works in the West End neighborhood to develop a food co-op for increased options of fresh and local food. She holds a bachelor of science in business administration and a minor in event management from High Point University. 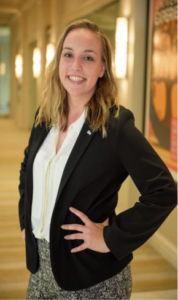 Erin Flynn is an AmeriCorps VISTA at High Point University. 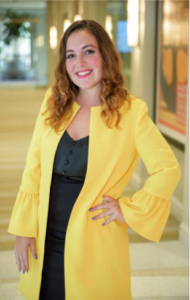 Her focus is on education in High Point, and she collaborates with Fairview Elementary to create community and parent engagement in the school. She also works to promote an interest in college education among students. She holds a bachelor’s degree in psychology from High Point University. James Austin Porzenski is an AmeriCorps VISTA at High Point University. 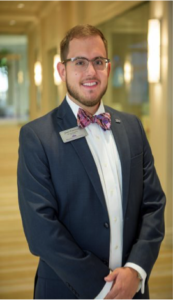 He works with Northwood Elementary engaging parents and alumni to strengthen neighborhood support and improve the marketing initiatives of the school. He holds a bachelor’s degree in music with a concentration in vocal performance, as well as a minor in photography from High Point University.